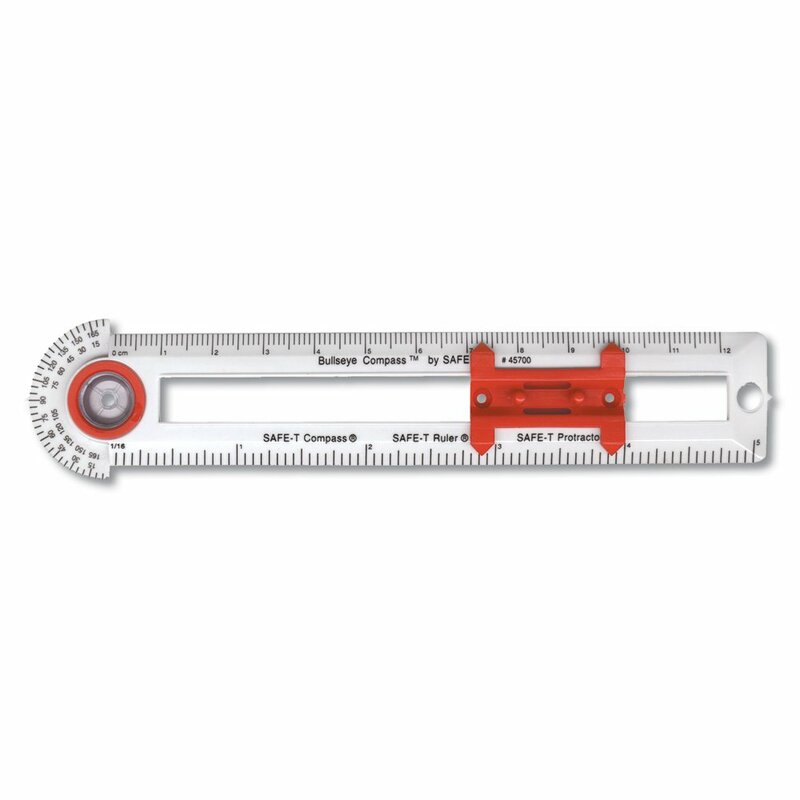 The Bullseye Compass features a transparent pivot point and a Quick-Set radiusindicator with 2 radius holes for easy and accurate drawing of circles.Students can determine and draw the radius in customary or metric scales andeven use the built-in protractor to construct and measure angles. Overhead anddesktop models available. Compass is made of shatter-resistant SAFE-T. Plasticfor years of use and measures 6"L. Grades 3+.